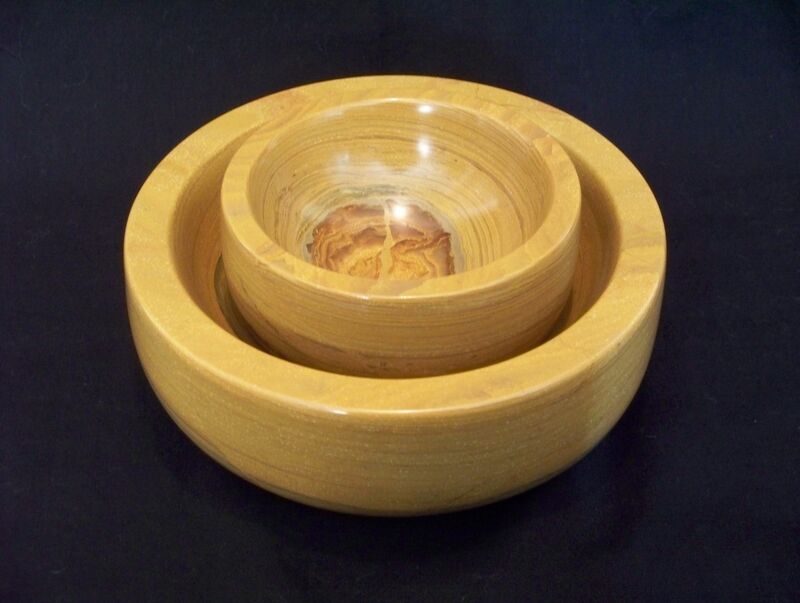 This pair of decorative bowls were handcarved from Japanese Pyrophyllite. This stone is also known as wonderstone. It comes im many colors and patterns, but, this "Yellow Wave" variety is one of my favorites. This stone is similar to soapstone but it is harder and more durable. The larger of the two bowls measures 7.5"x 2.75" and the mini-bowl is 4.75"x 2.5". The price listed here is for the pair.